A few days ago, I finally had the chance to sit down on the couch after vacuuming, washing dishes, starting a load of laundry and finishing up some other house hold chores when my son Jacob (just about 3 years old) came and sat on my lap. He gave me a hug and said “I love you Mommy. I know what we can do…how about we make something in the kitchen together.” For a brief second I thought of the new mess it would create but I couldn’t resist his little eyes and the memories we would make. 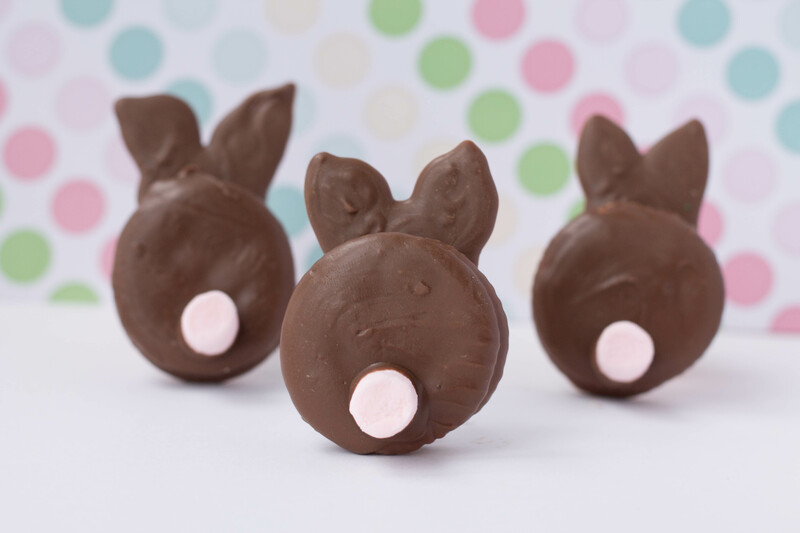 We decided to make some fun little Easter bunnies that involved minimal mess! I love this project because you can make as many bunnies as you want or make as few as you want. 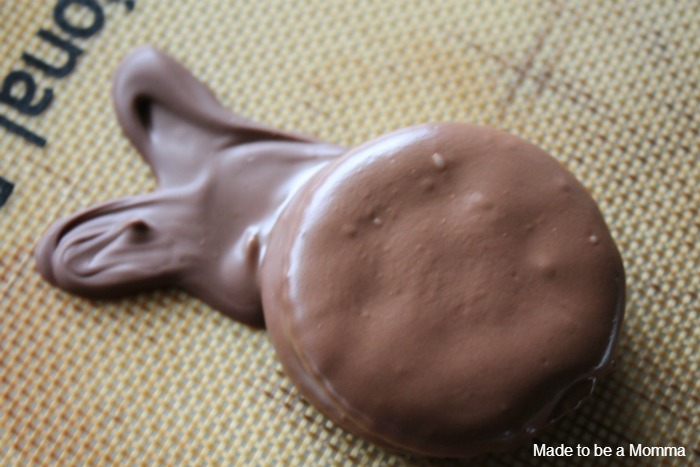 Melt your chocolate in the microwave safe bowl for 30 second increments until fully melted. You can also melt them in a melting pot which is my favorite way. 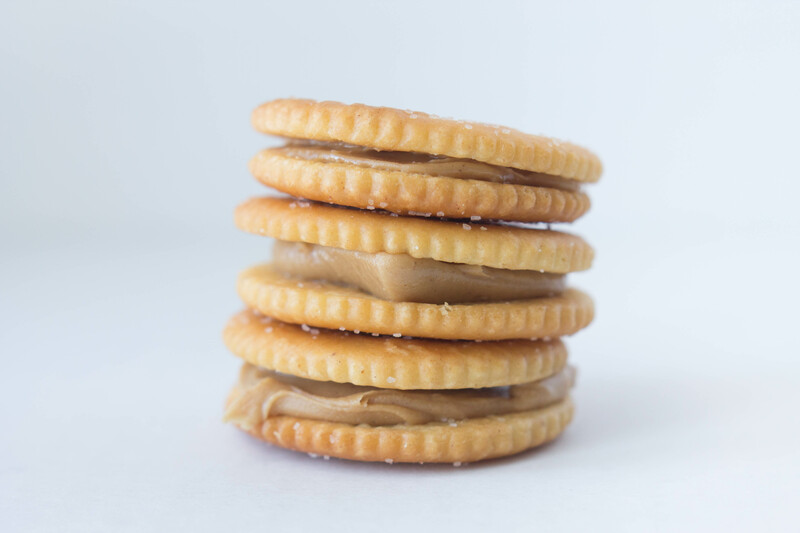 Make the peanut butter cracker sandwiches by spreading a tsp of peanut butter between two crackers. Dip your cracker sandwiches in the chocolate. 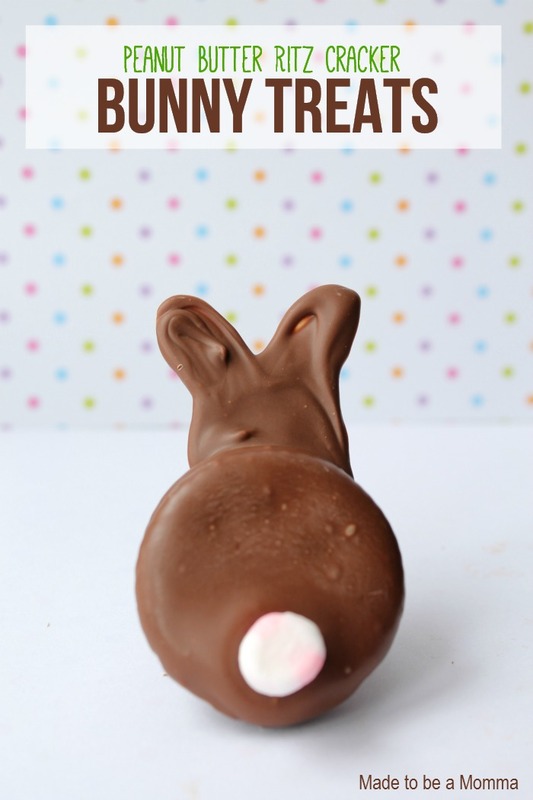 While your cracker sandwiches are in the melted chocolate, place some melted chocolate in a small sandwich baggie and pipe the shape of bunny ears on either a silpat baking mat or a piece of waxed paper. While the bunny ears are still warm, place your cracker sandwich slightly on top of the bunny ears. Place a small marshmallow bunny tail on the bottom center of the cracker. Place in refrigerator to cool until completely hardened. Carefully peel off your bunny treats and serve. Even my littlest guy loved gobbling these up. my kids will love these. ritz crackers, peanut butter AND chocolate! perfection! and the tail is just so stink in’ cute!